Locksmart Security Provides a Fast 30 Minute Response for Burglary and Emergency Repairs to Homes and Businesses In and Around Bolton. Has your Bolton-based home or business been broken into? Keep calm and act fast because this is the time when your property is vulnerable to further attacks. 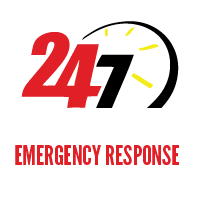 Call us directly or request a call-back now, we offer 24/7 support for burglary repairs in Bolton and the North West. Here at Locksmart Security , we understand how distressing this can be so we guarantee to arrive at your location in less than 30 minutes. Regardless of the type of burglary damage, our team of qualified technicians will secure your property for you and advise you on your options! Our team of certified Bolton based locksmiths is available 24/7 to help residents in and around Bolton after the event of a burglary. We will not charge any call-out fees and guarantee to respond within 30 minutes! Moreover, we will advise you on how to reduce your chances of repeat burglary and how to increase security levels at your residential and/or commercial Bolton property. We promise to provide burglary repairs in Bolton in a swift and efficient manner. Locksmart Security operates under the highest standards in the industry so you can always expect a first-class response at a cost-effective price. Glass panel doors are great architectural elements that can enhance the look of a home but when it comes to security, they are an easy target for burglars. Panel doors can be removed and lifted off the rack and have a locking mechanism that can be quickly overcome, making them a burglar’s favourite means of entry. Gaining entry inside a property is sometimes just as easy as opening an unlocked door or an unlatched window. If however, they were locked and a burglar still managed to force entry, we can help you by replacing or repairing the damaged lock. In some circumstances, we are required to replace the full window and/or door. No job is too big for us. Burglars can simply cut or smash glass doors to gain entry to a home. Lock picking and card slipping are typical techniques used by burglars to open locks that are old, cheap, or of inferior make. We can advise you on the best locks to install on your property to avoid repeated burglaries in the future. All our work is carried out to meet British Security Standards. One of the most common methods in burglary, roughly smashing doors is usually done during the daytime. Applying physical force such as prising, kicking or smashing with a blunt object can destroy a weak door. In particular for homes, this grants full access to burglars when the neighborhood is empty and the majority at work. Burglars often target rural or remote properties by sawing the lock off or by dividing the door in half. In such circumstances, we will do whatever it takes to ensure your London property is safe and secure. We specialise in providing temporary solutions such as ‘boarding up’ and guarantee to leave you feeling safe, regardless of the type of burglary. We work with you to create honest evaluations of your home’s security needs. Our company’s excellent staff is devoted to giving you friendly, fair service and security. If you cannot find exactly what you want on our website or are unsure about what you need, please feel free to drop by or call any time. We offer a FREE consultation and a FREE quotation on all of our services.